Corporations are the keepers of more and more of our personal data. When that data is hacked, it’s definitely newsworthy. This is why you may have seen so many headlines with “data breach” in the title lately. As security systems improve, so too do the hackers that target them. The increased chance that your data could be stolen means it’s best to prepare for data breaches sooner rather than later. 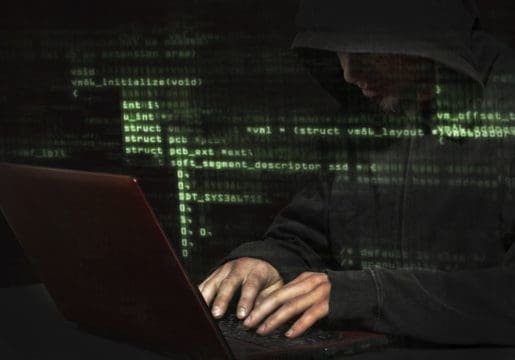 According to a 2017 report by the Identity Theft Resource Center and CyberScout, a data breach occurs four times per day in the U.S.
A data breach happens when a secure database is hacked. This can happen to any company, big or small. It can also happen to government agencies. There is a myriad of possible causes for a data breach. Phishing, malware, and ransomware are frequent culprits. Denial-of-service (DoS) and distributed-denial-of-service (DDoS) attacks, which block websites from being accessed for long periods of time, are also common. No matter how they start, data breaches all have similar consequences. Valuable personal, financial, medical, and/or other types of data are captured by criminals. Identity thieves can then use or publish this data as they please. The first step of any data breach is research. Hacking into a secure system doesn’t happen overnight, and criminals take time to prepare. They scout for their target, and once they hone in on a company they find out as much as they can about its data. The next step is the attack on the database. Using phishing emails or calls, thieves can trick the company’s employees into giving away sensitive info. They can also use ransomware and malware mistakenly downloaded by employees to steal the info directly from the company’s computers. Once the hackers have access to the database, they can keep the data, delete it, hold it for ransom, publish it online, etc. If they get to this point, they have successfully added to their list of completed data breaches. The best way to handle a data breach is to stop it before it starts. Reviewing security protocols with company employees, regularly updating software, and enforcing vulnerability control are all common ways of warding off an attack on a database. Security training and protocols are critical, especially if companies want to decrease their chances of attacks by phishing, malware, and spyware. Key company decision makers need to take some time to review identity theft and data breach tactics with employees or peers. Once they know how to avoid fake emails and links, data breaches through tricking an employee are less likely to happen. It’s also a good idea to regularly update antivirus software on all employee computers. This way, even if someone does get fooled into clicking a bad link, there is a second layer of protection. Besides the people, the most valuable part of a company is its technology. Set up a system that makes it a priority to fix weak points in databases. Simple things like forgetting to update anti-virus software can lead to data breaches. Fixing these issues will make it much harder for hackers to access company info. As a failsafe, a company can also invest in data breach insurance. There are two types of data breach insurance: third-party and first-party. Third-party insurance helps manage and fund lawyers for client lawsuits. First-party insurance covers lawyers, settlement costs, notifications to customers, public relations services, and other protections. Data breach insurance is relatively low-cost, so it is worth thinking about for companies that manage lots of data. Most of the prevention takes place on the corporate level. So, if you’re a consumer then you sadly can’t be proactive to prevent data breaches. You have to trust the companies you do business with to take the right steps. Still, if you want to personally protect yourself from being the victim of a company’s data breach, avoid giving away your personal data too often. Otherwise, all you can do is keep an eye out for data breaches in the news and learn how to secure your data post-data-breach. For example, knowing how to freeze your credit will help you go through the process much faster if you have to do it after a breach. So, the data breach happened. What does that mean for your and others’ personal data? The biggest risk is identity theft, especially if Social Security numbers were part of the hacked database. You could also lose money and get a lower credit score. We explain more about how to minimize your losses below. The hacked company ultimately suffers the most long-term effects. In 2018, the Ponemon Cost of a Data Breach Study reported that the cost of data breaches rose by 6.4% since 2017 to $3.86 million. Companies are subject to the same sort of financial impact as the individuals affected, but on a much larger scale. In the short term, companies will lose money when faced with lawsuits from people whose data was stolen. It will also cost a pretty penny to repair any damage that the database sustained from the breach. In addition, they can lose intellectual property and take a hit to their reputation. These effects can damage the business for years to come. Taking quick action after you’ve been part of a data breach is crucial. If you find out that a company you gave your data to has suffered a data breach, first figure out what type of data was hacked. Is your Social Security number at risk? What about your credit cards? Your medical records? Do your research so you know which data to focus on protecting. Accept help. Many companies will offer their customers help after they’ve had a data breach. Take the help if they offer it to you. It will make the whole process easier. Monitor your info. Your next step is to closely monitor your information and accounts. If anything doesn’t seem right, you may have had your identity stolen in the breach. Change passwords. Take some time to change passwords and set up two-factor authentification for your account logins. This extra step in security will go a long way. File taxes. It helps to file your taxes ahead of time. Whatever you do, the most important thing is to have a plan. Improvisation is not your friend when it comes to protecting your personal data after a data breach. Article last modified on March 20, 2019. Published by Debt.com, LLC .